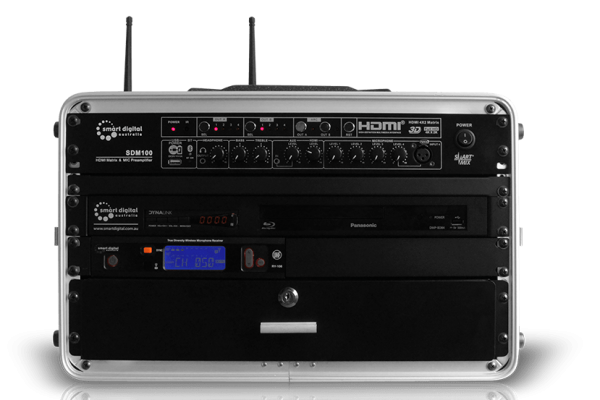 SmartBox Platinum Plus is top of the range portable audiovisual control system for professional event organisers. This system is for you if you do not want to compromise on quality! Combine audio video sources and stream analog and digital signals of your choice to create an impressive event or a show. Professional Blu-Ray Player Denon with on screen display will play multiple video and audio formats. Furthermore, it has analog and digital outputs. 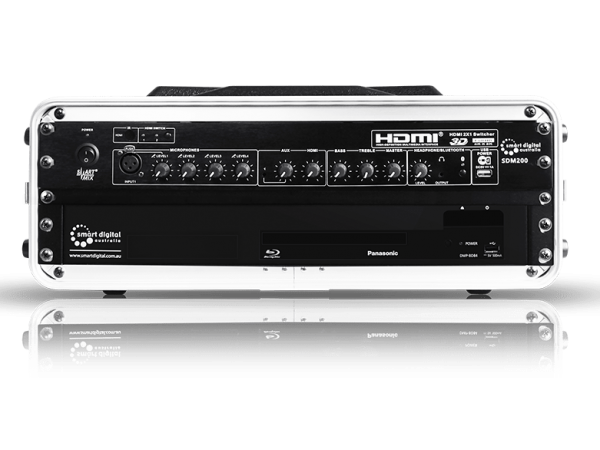 Versatile and reliable, this model is well regarded in the world of AV Pro. Unique audio video mixer with built in HDMI switcher controls the volume of the sound and enhances its quality. What is more, it allows users to switch signals between two devices (for example, games console and laptop). Entertainers, guest speakers and musicians will appreciate a pair of true diversity UHF (ultra high frequency) wireless microphones with a backup wired microphone. Keep total control over the show with a 5″ preview monitor included in the package. 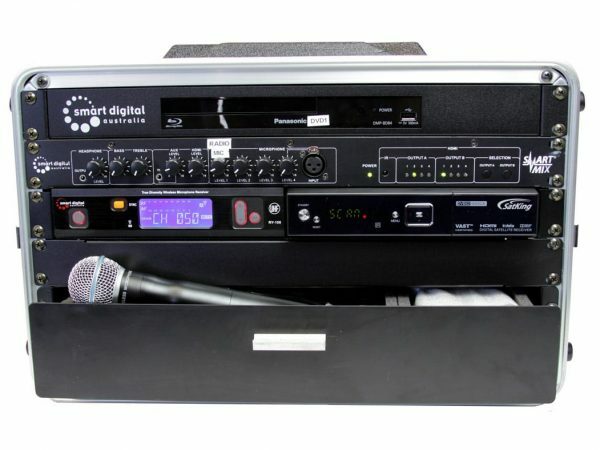 Use a drawer with three compartments as a storage for microphones, remote controls and cables. Finally, wath on air TV with built-in set top box. Audiovisual control system SmartBox Platinum Plus is supplied with BigTime Entertainment package. This unit is great for indoor sport and entertainment centres, churches, conference halls, and schools. All in all, SmartBox Platinum Plus is a professional quality entertainment unit. 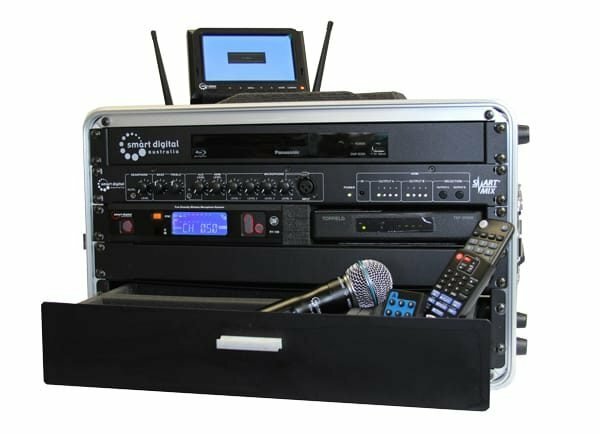 It features all equipment required to run the show, conveniently mounted in lightweight and durable thermoplastic polymer rack case.